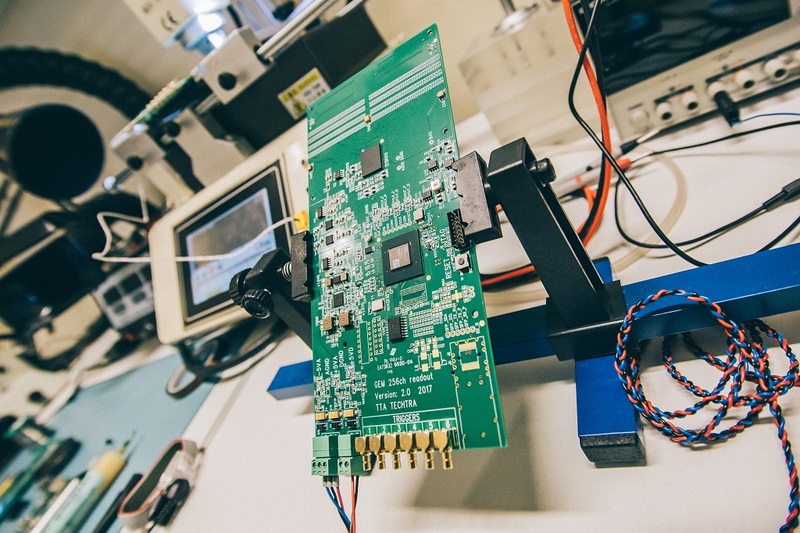 Designing of measuring electronics | Technology Transfer Agency TECHTRA Sp. z o.o. Techtra specialize in designing modern measuring electronics. We offer design of measuring dedicated apparatus (including diagrams and patterns of printed circuits), assembly of prototypes and final validation. 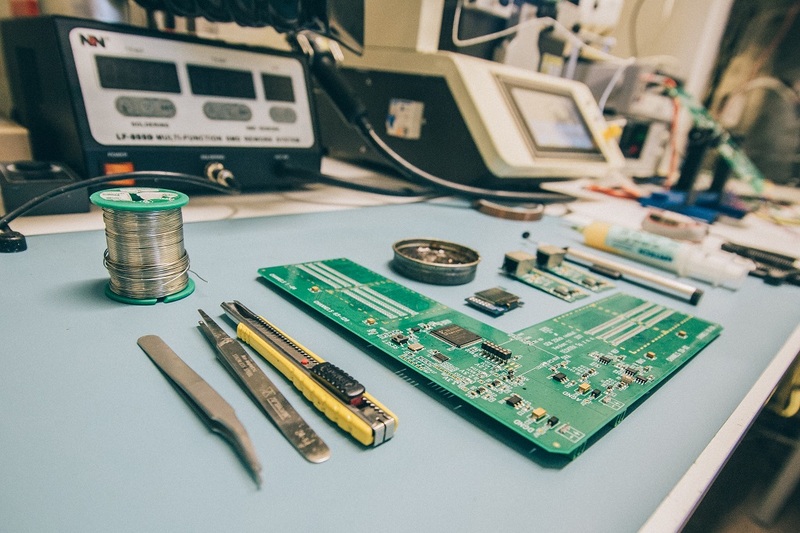 Our skills are based on many years of experience in designing and producing sophisticated electronic and PCBs for e.g. CERN, KIT, SLAC and others. 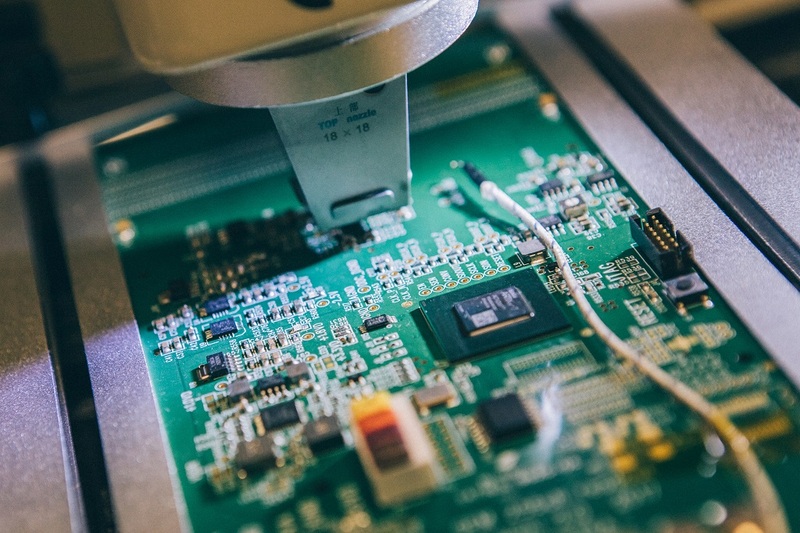 Our devices combine analog and digital components mounted on upto 10 layers of PCB. 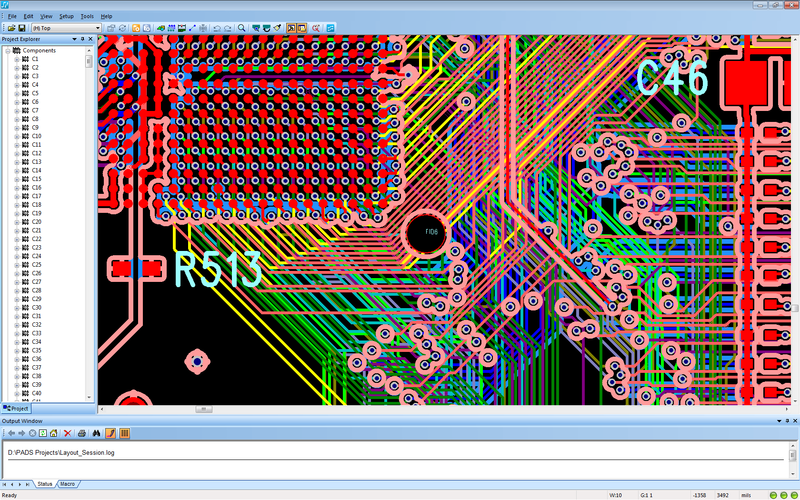 For PCB designing we are use dedicated Mentor PADS software. 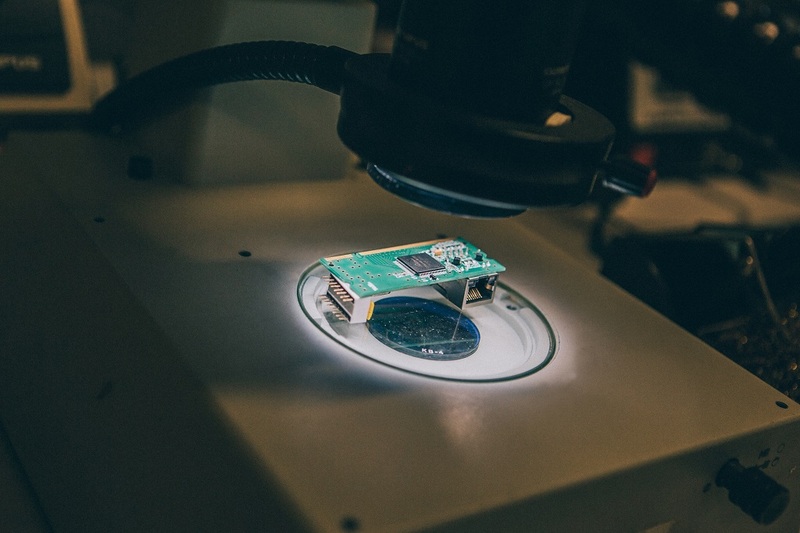 In our projects, we use systems and components for both through-hole and surface mounting, including large BGA chips. Very often we use FPGA (Xilinx Spartan3 or 6 and Artix7) for device control and data processing. 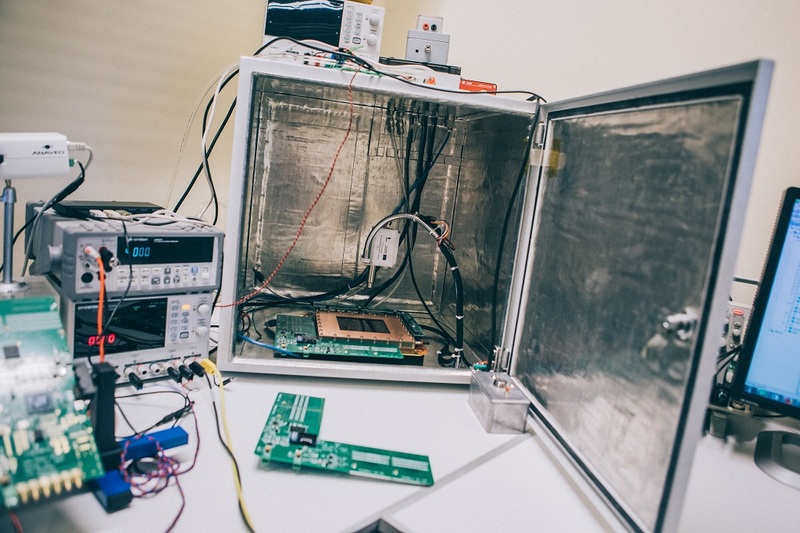 We work with specialists creating firmware for FPGA (VHDL) chips and for PCs (C #, Python). 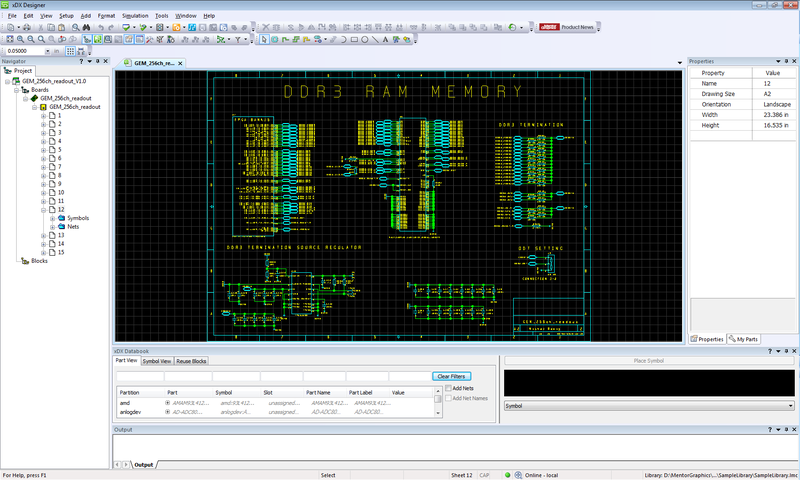 An example of PCB schematic can be seen in figure 1. A design fragment of a 10-layer printed circuit board is shown in Figure 2. We use dedicated machinery for prototyping and small series production merged with testing apparatus. 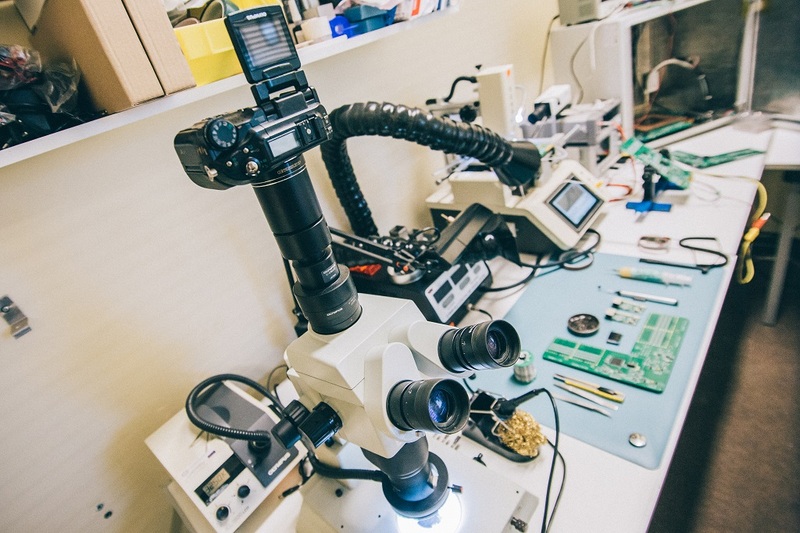 The production machinery includes: a flask soldering station, a hot-air station, a BGA soldering station with 2 hot-air heaters and 3 IR heaters and an inspection microscope. 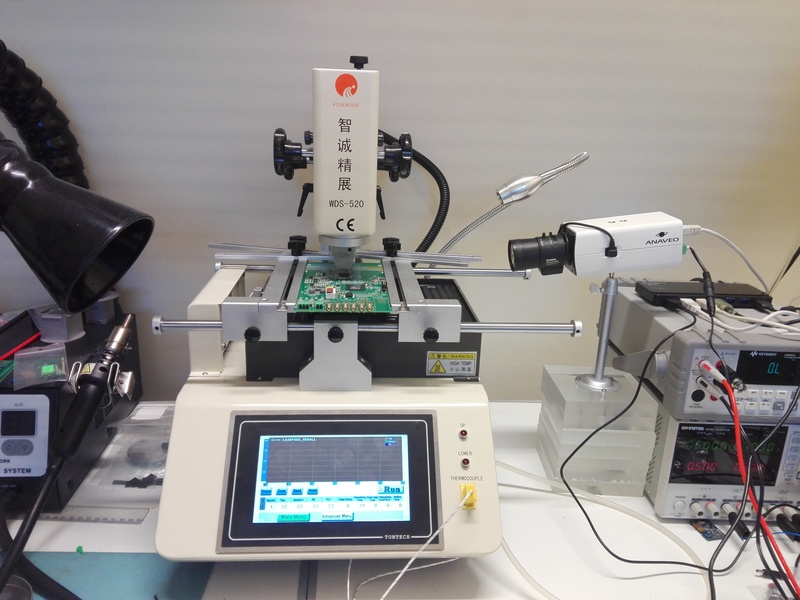 We use an optical system that allows to precisely adjust pads with BGA joins during soldering process. We use dedicated templates for soldering, thanks to which the assembly time is shorter and the quality is better. For our design we can use lead-based or lead-free binders in accordance with the ROHS directive. The measuring equipment includes: precise power supplies including high-voltage Caen DT1471HET power supply (up to 6kV), 4-channel Tektronix MDO 3024 oscilloscope with 200 MHz band, Keysight U3401A multimeter, Keithley 6485 picolometers, and others.